There are two types of systems that avail the services of handy men to local public. One of them is through the independent operators. These handy men work as per the requirement and have no accountability. The second is through the franchises. These ensure the quality of the work done is good and are accountable since they come with a contract with a company. A team of reporters from the Wall Street Journal did an experiment to find out the efficiency as well as the prices charged among the handy men. They asked handy men around the country to do menial jobs like fixing a leak to putting up a cabinet. The results were baffling. The report concluded due to no fix standards and few quality requirements the prices of the work done vary drastically. The differed between two prices was as markedly vast as ten times. Some handy men do the worst of the jobs while there are some who can be vowed on their quality. The important tips to keep in mind while looking for a handy men is to get estimates of the prices that will follow beforehand, if possible get a feedback of the work of the handy man, pay with cards so there is a record of the transaction. The Sacramento Handyman process most of their transactions through cards. While one can opt to do some fixing jobs around his own house however if a handy man is hired to do menial jobs there are various places in the United States that require the handy men to be listened or insured or both. Many people use the term contractor interchangeably with the handy men. However, there is huge differed between the two. While the handy men are considered a jack of all trades, contractors hire more specialized people to do their bidding. Handy men are often employed for small tasks like the following: Jammed Garage door openers Installation of new shelves Heating system tuning Installation of sprinkler system All in all, handy men that are hired via franchises may not come fully assured on quality but it can be propitious to hire them. It is important on the behalf of the customer to pay attention to the kind of handy man they are hiring and always collect feedbacks from friends or on internet websites. 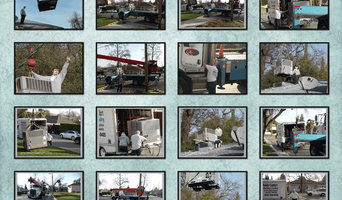 We are a local, family-owned business that has been operating in the Sacramento area since 1974. Homeowners know they can trust us with our proven track record, and take comfort in the fact that we are fully bonded and insured. As a California State Licensed mechanical contractor with staff certified by the National Air Duct Cleaners Association (NADCA), we are proud to have been labeled as the premiere indoor air quality cleaning experts in the capital area. We look forward to assisting you, and we are certain that you will find Kleen Air as the best choice for all your HVAC needs. Beutler Air Conditioning & Plumbing has served Sacramento and surrounding areas since 1956 with its excellent 24/7 heating, cooling and plumbing services. Serving the greater Sacramento area and surrounding counties since 1989 we are known for our customer service, honesty and ethics. 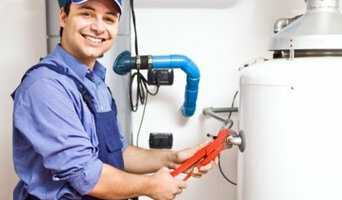 UBS Mechanical is a fully licensed, bonded and insured HVAC (C20) and plumbing (C36) contractor. We service office, industrial, retail, multi-family, senior apartment communities as well as personal residences in the region. We have experience working with property management companies and have developed many relationships with commercial landlords and residential owners. In addition, we also have contracts with national retail companies, restaurants, contractors and work with various city programs in Sacramento, West Sacramento and Folsom. Our goal is to make sure you are 100% satisfied. Our reputation, relationship with our customers, quality of our work and the value you receive from our work is what we focus on. We have diverse technical expertise that involves that involves systems such as chillers, mini-splits, rooftop HVAC units, cooling towers, swamp coolers and boiler repair. We offer competitive rates without any additional truck or travel charges. We can handle small jobs such as replacing your faucet to replacing cooling towers on your property. 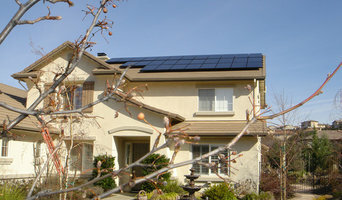 Managing your home heating, cooling & ventilation services in the California Bay Area! Are you feeling cold? Is your home feeling dry? It may be that your heating and air conditioning systems are not working effectively. It's a good idea to have an HVAC technician come out and check your heating and cooling system to make sure it is working up to its capacity. So, give us a call today at (916) 519-8600 to schedule an appointment.